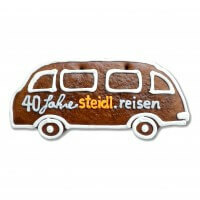 The gingerbread bus is the perfect figurehead for your company! It is ideal as a promotional item, decoration or gift for your customers. Choose your desired text as well as the color design. 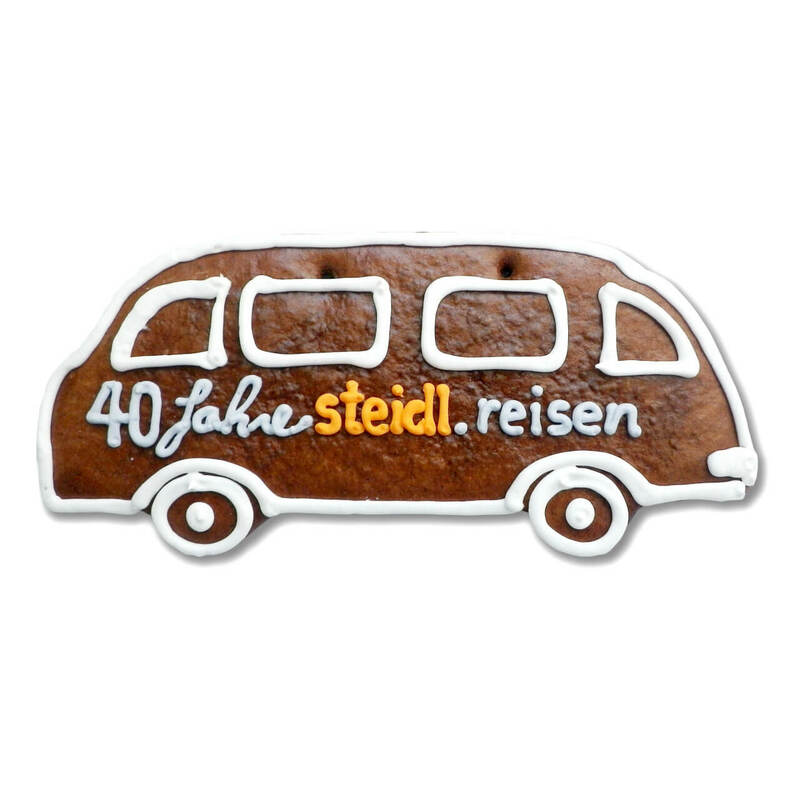 Optionally we attach your company logo on the gingerbread. Each gingerbread bus is unique and made by hand, so shape, color and arrangement may vary slightly. Guaranteed delivery on the agreed date. 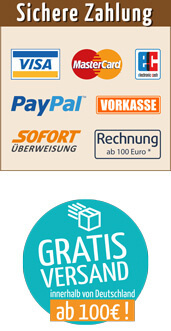 All prices include VAT, from 100, - € free shipping within Germany. No customer reviews available yet. bicarbonate; Chicken egg white, potato starch, lemon juice. May contain traces of mustard, celery and gluten. 1) Maximum 3 samples per order possible. Unfortunately, if you order a "sample", no consideration can be given to customization (such as color, logo, etc.). Please order an individual product for customization requests. The sample may differ from the illustration in the design. Samples can not be returned. The sample fees will be credited after an order value above 300€.